In 2015 the European Union adopted new rules seeking to implement a roam like at home regime for member states. This Working Paper highlights challenges in implementing roam like at home, and it provides insights on the economics of international mobile roaming. 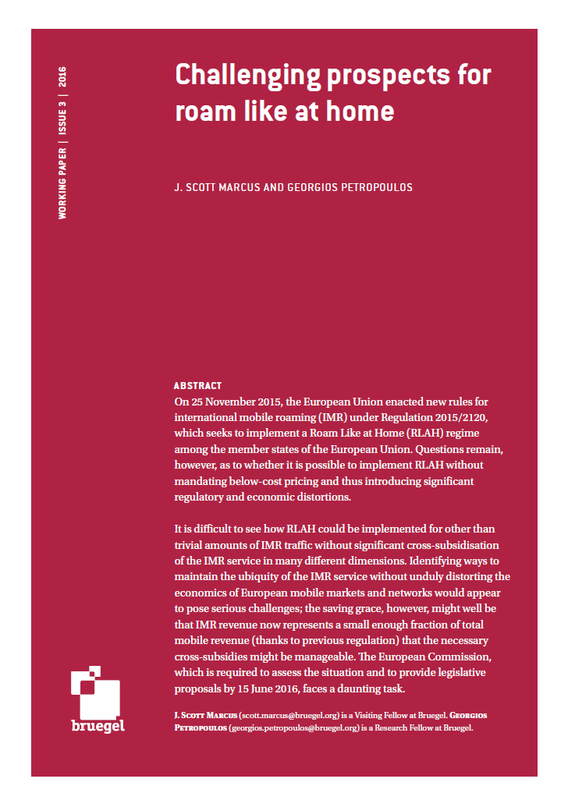 On 25 November 2015, the European Union enacted new rules for international mobile roaming (IMR) under Regulation 2015/2120, which seeks to implement a Roam Like at Home (RLAH) regime among the member states of the European Union. 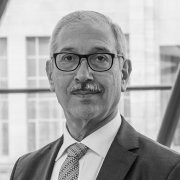 Questions remain, however, as to whether it is possible to implement RLAH without mandating below-cost pricing and thus introducing significant regulatory and economic distortions. It is difficult to see how RLAH could be implemented for other than trivial amounts of IMR traffic without significant cross-subsidisation of the IMR service in many different dimensions. Identifying ways to maintain the ubiquity of the IMR service without unduly distorting the economics of European mobile markets and networks would appear to pose serious challenges; the saving grace, however, might well be that IMR revenue now represents a small enough fraction of total mobile revenue (thanks to previous regulation) that the necessary cross-subsidies might be manageable. The European Commission, which is required to assess the situation and to provide legislative proposals by 15 June 2016, faces a daunting task. 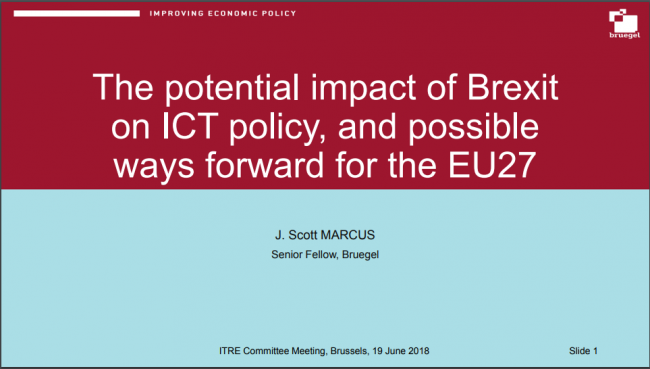 Bruegel senior fellow Scott Marcus welcomes former European Regulators Group chairman Kip Meek to explore the consequences of Brexit for ICT policy-making in Europe. Testimony before the European Parliament Committee on the Internal Market and Consumer Protection (IMCO). 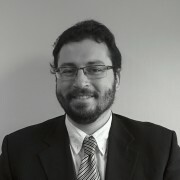 Testimony before the European Parliament's Committee on Industry, Research and Energy (ITRE). The second edition of the EU-LAC Economic Forum, a high level gathering for in-depth research-based exchanges on economic issues between European, Latin American and Caribbean (LAC) policy makers and experts. How big is China’s digital economy? The rise of influential Chinese digital giants, including Baidu, Alibaba, Tencent and Xiaomi has shown the world that China is a global leader in digital innovation and it is not surprising that China has started to influence the global digital market. But is China exploiting its full potential in this area? 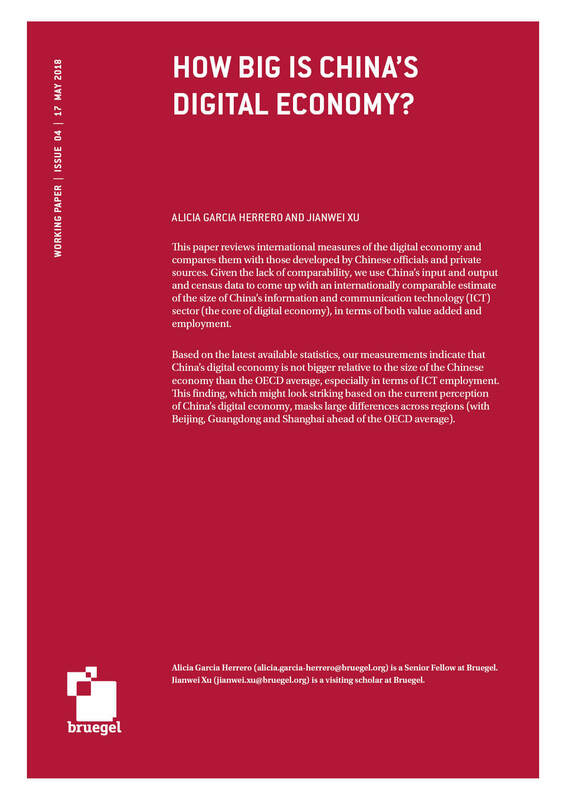 To answer this question, the authors assess how big China’s digital economy is relative to the rest of its economy, and how China performs compared to the rest of the world. The development of e-commerce has affected both demand and supply fundamentals of markets, changing the way competition works. 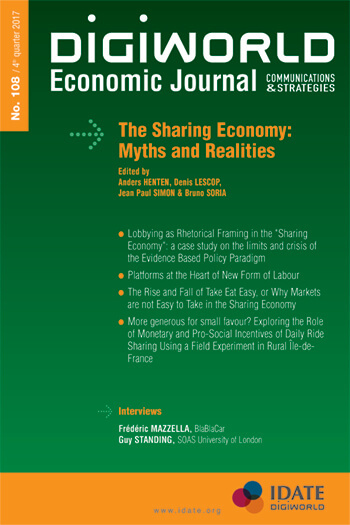 In the effort to develop a frictionless and welfare maximizing digital single market across the EU, it is necessary to carefully review the disruptive forces on e-commerce on markets and firms’ strategies. What technological, economic, and regulatory policy implications might flow from the use of Software Defined Networks (SDN) and Network Function Virtualisation (NFV) technologies, and what are the interactions among these different dimensions? The authors explore the application of SDN/NFV technology to achieve greater flexibility as to how communication networks are used. 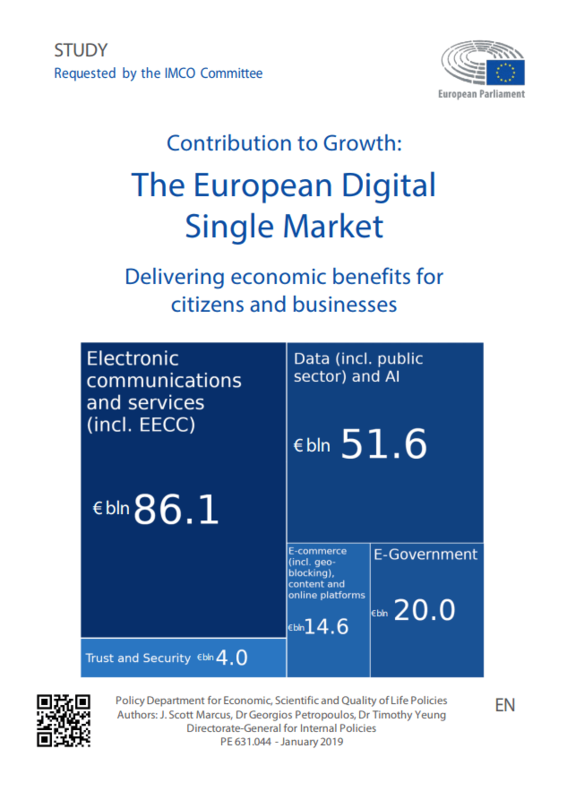 One of the ways in which the European Commission has sought over the years to strengthen the European single market is by means of increased harmonisation of the regulation of electronic communications. To the extent that the European Union functions as a confederation of somewhat autonomous member states, however, there are both practical and political limits to the degree of harmonisation that is realistically desirable or achievable.